Gluten Free Cocktail Mixers that are certified and organic are perfect for summer. The summer is here and that means it is time to have some of your best friends over and enjoy life. Parties, holidays, and BBQs are always a good time, but when you are gluten free it restricts the beverages that you can enjoy as well. Knowing a few good Gluten Free Cocktail mixers is important, so that you can make sure you are having a good time without having to worry about getting sick. This is not a sponsored post. 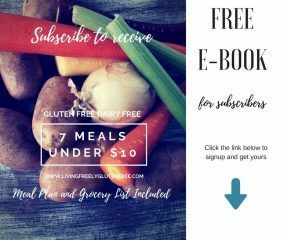 I am expressing my own opinion in exchange for trying Demitri’s products because I believe in bringing you ALL of the gluten free goodness. Having learned the hard way with cocktail mixers- I had completely given up on drinking any mixed drinks until I was introduced to Demitri’s Gourmet Mixes. Demitri’s was only available to wholesale, but they have expanded their line to individual sales and became certified gluten free. You can find them at a store near you here. Demitri’s offers several gluten free cocktail mixers to choose from. First is their signature Classic Bloody Mary Seasoning mix, and they just came out with Chilis and Peppers, Extra Horseradish, and Chipotle Habanero. There is a flavor for everyone and if you like a spicy kick then the many brand new flavors will speak to you. My personal favorite item from Demitri’s is their Organic Traditional Margarita Mix (also gluten free). This is delicious and you can see my recipe for a Sparkling Margarita below. They also offer many salt rimmers to choose from. 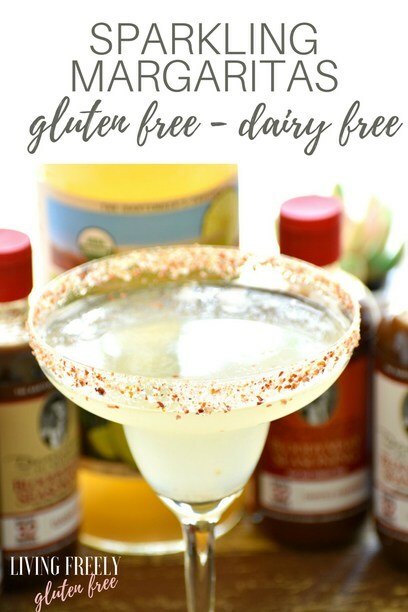 The Pomegranate Pineapple Lime is amazing with this margarita and it does not any contain gluten ingredients (check the labels of other flavors, as I am not sure if they are gluten free). If you are hosting a party, a big pitcher of margaritas is always the way to go and when you make them with safe ingredients you will be able to enjoy your time without any worry. Also, my Fish Taco Recipe goes splendidly with the gluten free margarita recipe below. Always remember to mix these gluten free cocktail mixers with gluten free alcohol. Therefore look for vodka that is potato or corn based and tequila that is 100% silver agave. Father’s Day is coming up and a gluten free Bloody Mary is the perfect drink to serve with brunch and of course my Paleo Meatballs are the perfect appetizer to serve along with them. Enjoy! 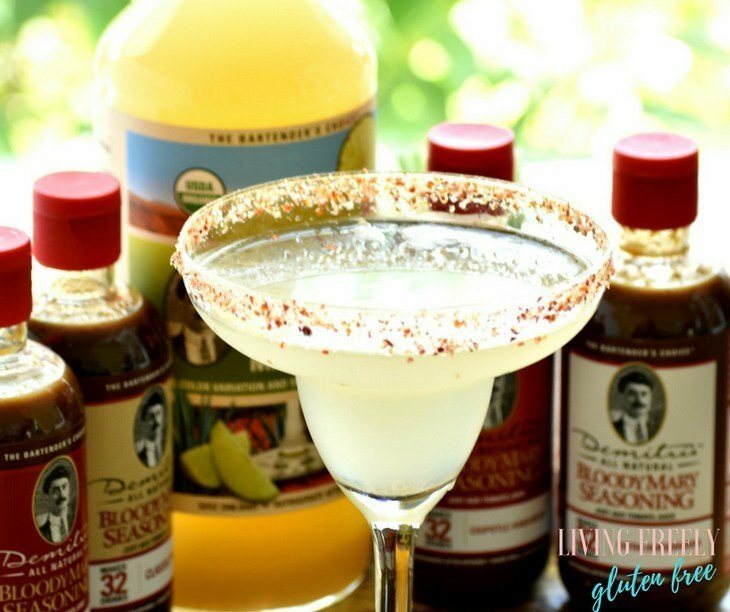 These delicious, light, and refreshing margaritas are the perfect cocktail for your next party. Add all ingredients together and serve on ice or blend.